Diabetes medication errors weighs in greatly if you are trying to maintain strict control of your blood sugar. Taking too much of a medication can cause your blood sugar to drop too low. On the other side, forgetting to take your medication can cause your blood sugar to spike. Both of these diabetic mistakes can send you into a roller coaster of ups and downs, which isn’t good at all for your body. Becoming complacent. This is probably one of the top errors people make as soon as they start to feel better. Prior to medication you probably didn’t feel very good and starting medication can perk you up within days. Over time, you notice your blood sugars are all very normal and you think you’ve been “cured.” It is really easy to become complacent with diabetes medications when your blood sugar is under control. Many find that after a few days of not taking medications, their blood sugar goes right back up. Taking an extra dose. It is totally understandable that the temptation to eat large amounts of foods high in sugar may be too great to resist! There are ways to fit in a few extra goodies once in a while without compromising your blood sugar too much. Another one of the big diabetes medication errors is taking an extra dose of your diabetes medications to cover eating extra things you aren’t really supposed to have. This can cause low blood sugar or increased side-effects of the medication. Try using the “diabetic exchange” to save up for a big night. Forgetting to check blood sugar. Once you are put on diabetes medication, you should be checking your blood sugar at least twice daily. Some doctor’s want you to check more and some less. When you get your prescription for medication, ask for a prescription for a blood sugar monitor for home. Always check your blood sugar first thing in the morning before your first dose of medication. If your blood sugar is very low call your doctor before you take your pill. If your blood sugar is high, do not take an extra dose of medication. Call your doctor for advice. Not knowing what you’re taking. This is an important thing when starting diabetes medications. Ask your pharmacist for a printout of each medication name, dosage, side-effects and interactions with other medications. 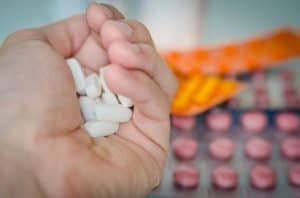 If someone helps you with your medications make sure you refer to each pill by name and try not to use “white pill” or “pink pill.” This will avoid confusion so you make sure you’re taking the right medication.It is also a good idea to make a list of all your medications by name and the dose you are taking. Update it whenever you stop taking or start taking medications and bring it with you to each doctors visit. Not using the same pharmacy for each prescription fill. Your pharmacist may know more about you than your own mother! Well, maybe not that much. But pharmacists keep your medications, allergies, and even health conditions on file. The computers these days are amazing and if your doctor writes you a prescription that may interact with another drug, the pharmacist will get a “red flag” and call your doctor to alert them. If you use different pharmacies, they won’t be able to keep a good medication history and puts you at risk for drug interactions or even allergic reactions. Not taking medications on time. One of the misunderstood diabetes medication errors is not taking your medications on time. Oral diabetes medications are very often timed release and work for you over a period of time. If you take your dose late, your blood sugar may go up. If you take your dose too early, you may get a low blood sugar reaction. Stick to a pretty strict schedule with these medications. With smartphones, you can now download a “pill reminder” app that allows you to enter the medication, dosage, and time to be taken. Quitting over side-effects. You’ve started your medication routine and everything is great the first few days. Then the side-effects start. You give it a few more days and then quit taking your medication altogether. You should never stop diabetic medications without calling your doctor. You could experience a rapid rise in blood sugar and become very sick. Ask your doctor if you can try a different medication that has less side-effects. These days, there are many varieties of oral diabetes drugs you can choose from. Getting your medications confused. It is really easy when you’re tired or not feeling well to get your medications mixed up. Either keep them in the original containers from the pharmacy or get a large pill organizer with multiple doses and days. Make sure anything your pills are kept in is clearly marked with what is inside. You wouldn’t want to accidentally take your blood pressure pill twice or your diabetic medication for that matter. Many types of pills look very much alike. You will need to contact your doctor as soon as possible. Also, make sure you are checking your blood sugar to keep track of how it may be working for you. If your pill looks different, call your pharmacy. Wait, wasn’t that pill supposed to be orange and oval shaped? If you ask yourself a question like this when you open a new bottle, do not take the pill, do not pass go, and do not collect $200. Call the pharmacy and let them know your pill looks different. There may be a perfectly good explanation, like they switched suppliers and the new company has a different pill. It is better to be safe than sorry! I hope you guys know what errors to avoid after reading this.